With oil prices at new modern lows, China is seizing the opportunity to stock up. The Wall Street Journal reports that a division of China National Petroleum Corporation (CNPC) just completed the largest purchase ever for crude oil on an exchange based in Singapore, securing 40 tanker loads in October alone. The move comes after China’s oil consumption had its second highest month ever in September. The Dubai/Oman oil marker is a benchmark for crude oil coming from the Middle East, and there is a trading exchange in Singapore, where traders confirmed China’s latest move. On its face, the move is not surprising. China is in the midst of trying to fill its growing strategic petroleum reserve (SPR), a multi-year process to stash away enough oil to use as a cushion in case of major supply disruptions. The October purchase is most likely intended to build more inventory while taking advantage of low prices. China’s SPR is modeled after America’s own SPR, which holds more than 700 million barrels in salt caverns along the Gulf Coast. Related: The End Of An Era: Is The US Petrodollar Under Threat? The U.S., along with 28 other members of the International Energy Agency – which includes Japan, Korea, Australia and most of the industrialized west – has pledged to store 90 days’ worth of oil supplies. That policy was put into place when the organization was founded in the aftermath of the Arab oil embargo in 1973. IEA members also commit to work together to combat supply shortages and coordinate responses. China is not a member of the IEA, but is building its own strategic reserve, having originally laid out details of its plans to build SPR facilities in its tenth Five-Year Plan (2000-2005). The plan calls for building a 100-day oil supply in a strategic reserve by 2020.That would equate to around 680 million barrels based on current consumption levels. The first phase of construction was completed in 2009 and had a storage capacity of 103 million barrels. When China completes phase 2, which is expected at some point in 2015, an additional 169 million barrels of storage capacity will be added. At the beginning of 2014, China had stored 160 million barrels in its reserve, with many of the storage sites located near refineries along China’s eastern coast (see map from IEA). Earlier this year, China was stockpiling oil at an elevated rate, stashing away an estimated 600,000 barrels per day. The purchase of 16 cargos in April was the last time China made a big splash in the oil markets. 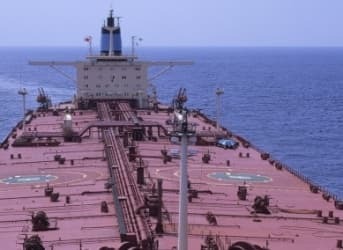 The buying spree appears to be back on with the major purchase of 40 cargoes of oil on the Singapore market in October, which amounts to about 21 million barrels. When China is not building inventories at its SPR facilities, its purchases are much lower. For example, over the summer it bought just three cargos per month on average. Like any market participant, China is buying when prices are low. At the end of October, Dubai/Oman prices traded about $30 per barrel lower from the June highs of around $115 per barrel. This offered China a chance to fill its SPR at a lower price. For example, if China secured its cargo at a price somewhere in the $85 per barrel range, it would have saved around $500-600 million compared to if it had bought in the summer. Oil demand growth in China has been relatively weak this year, growing at just 2 percent. That is the weakest growth rate in nearly 25 years. But China’s campaign to fill its strategic reserve will provide a boost to global demand, helping to prevent oil prices from falling further. Goldman Sachs published a report in late October that severely slashed its prior forecast on oil prices. The bank now thinks that oil prices could drop as low as $70 per barrel in early 2015, pushing out some high cost producers. However, with OPEC meeting at the end of November, China isn’t waiting for the bottom. It is snatching up oil while it is still cheap.